Budget sporty leather gloves! 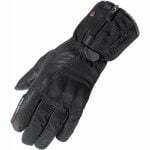 Great value gloves from Richa with a sport style. Available in plenty of colours to suit your colour scheme. Plastic knuckle with leather overlay for the protection you need!